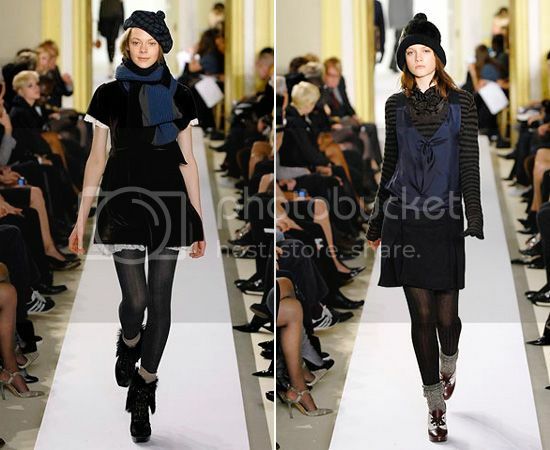 Love the MBMJ fall 07 collection - it still looks so fresh, charming and relevant. 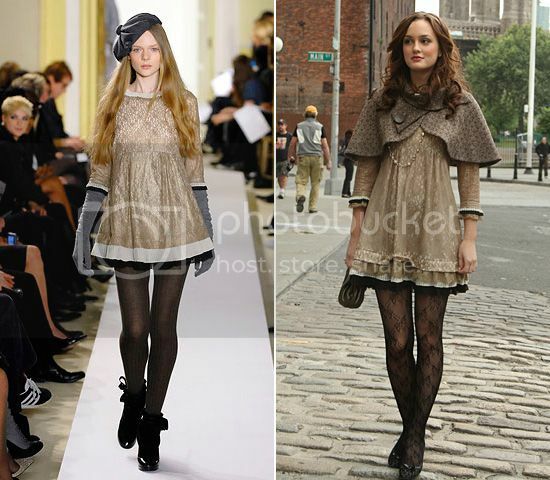 How I would love to add the Dita dress (also seen on Blair, Gossip Girl) to my wardrobe. More runway photos in this flickr album. 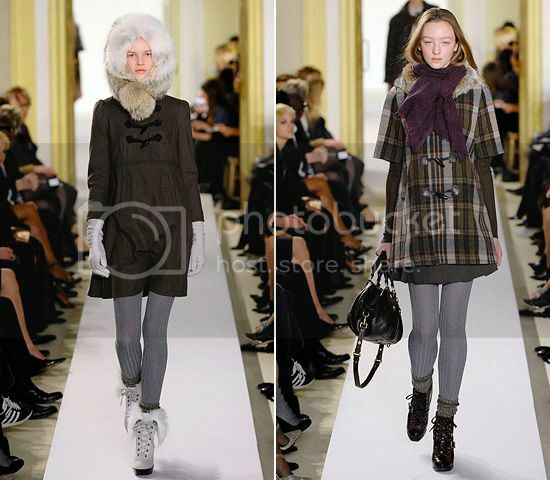 some amazing stuff here I LOVE that plaid hat the caplet on gossip girl and the ribbed tights!